The 10 page specials talks about the do’s and don’ts of car air conditioning. How you should and shouldn’t recharge a cars’ air con. How you should and shouldn’t change a car air con compressor. How we change a condenser. We explain in detail how we do our job, why we do it that way and why you should trust your car to an air conditioning specialists, and not a tyre dealer or general car repair garage for air conditioning related work. The article goes on to talk about compressors and why they can fail, how to repair and fit them. As well as discuss the many issues facing the industry today, notable the growing problem of compressors being fitted incorrectly, without a new drier and system flush and then the customer complaining the compressor is faulty when its the fitting at fault. Also in the feature is a guide to prolonging the life of you car air con system, how to better fuel consumption. And we look at how the A/C works, why it can fail, what can fail and what can be done about it. 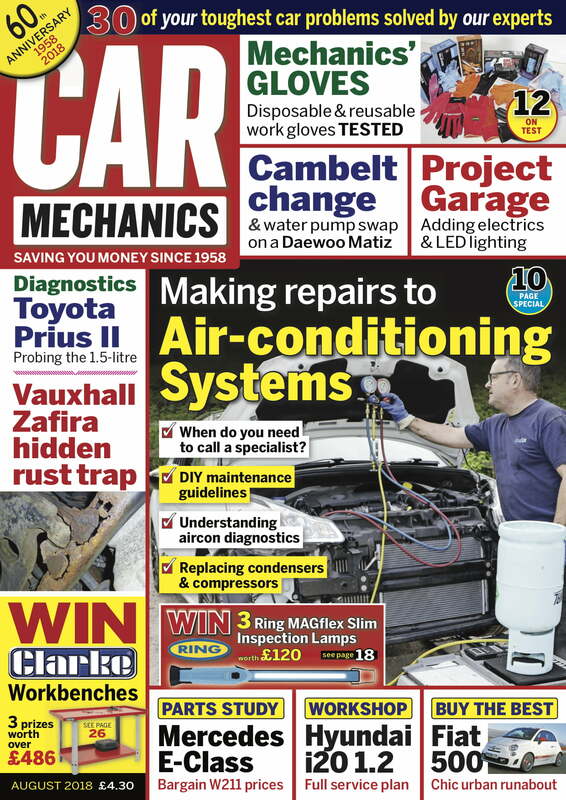 All in all a very well written, in depth feature on car air conditioning. If you want to find out about car air conditioning in general, and how to get involved in the business, then pick up a copy today or contact us for more information.